The world is gripped by magic. Islands soar. Ships fly. 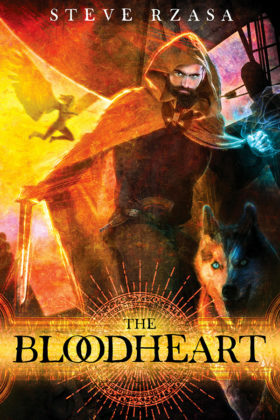 And whispers abound: the Bloodheart. When he learns of a priceless relic abandoned in the ruins of a floating island, he leaps at the chance to earn a fortune. But when a king’s ruthless agent threatens his stalwart crew and ship, Bowen is thrown into a quest for something far greater than treasure. He must harness the ice and confront enemies far more powerful than any he’s ever faced. There is no return from his path. It ends only with the answer to one question: Who controls magic? Book 1 in The Relic Cycle series.